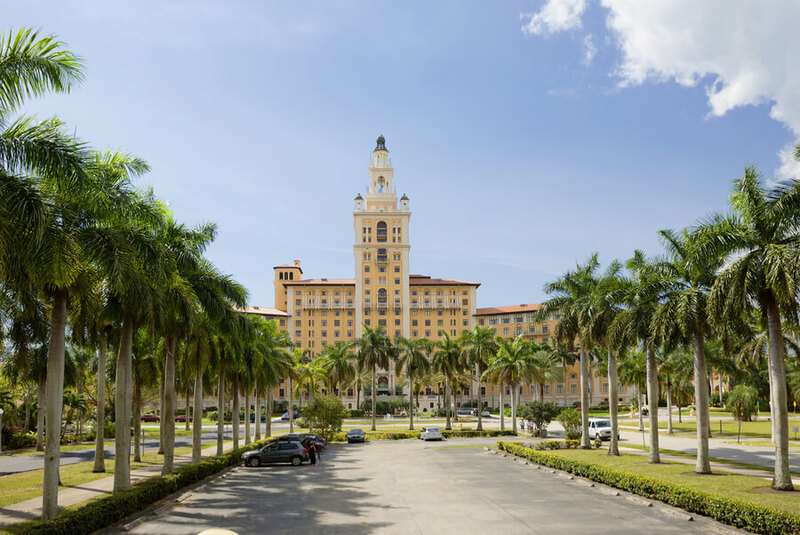 Located in Coral Gables, Florida, Miami Behavioral Health Center is a substance abuse facility that offers substance abuse and mental health treatment services to men, women, and adolescent clients. The facility now called Banyan Health operates multiple locations in south Florida. The behavioral health facility specializes in treating co-occurring disorders and offers outpatient, residential, and detox treatment services to individuals with chemical dependency issues. The initial stage of treatment requires an intake evaluation. This assessment is done on admission and will determine the level of care the client requires, as well as help the counselor come up with the best individualized treatment plan for the patient. If the client requires detox, they will be moved to the detox unit and be medically monitored for three to five days. Withdrawal and medication management services are rendered to clients receiving detox. After detox is complete, clients are moved into the residential program which typically lasts for thirty to ninety days. During residential treatment, evidence-based techniques, medication management, psychiatric evaluations, and traditional talk therapy modalities are utilized. Individual therapy occurs once weekly on request from the counselor or client, and cognitive behavioral therapy is used. Group therapy also occurs daily and topics addressed during these sessions include communication skills, mental health, relapse prevention, 12-steps, coping skills, and many more. Although the program is not heavily based on 12-step, narcotic anonymous and alcoholic anonymous meetings are offered weekly. During group therapy, adults and adolescent clients are separated and multiple educational lectures hold during these meetings. After primary program is complete, clients are encouraged to an aftercare plan which may include outpatient treatment and monthly meetings. The facility will also begin to reintegrate clients into professional, regular, and social lives by educating them on job searching and resume writing. The facility also offers basic outpatient and intensive outpatient treatment depending on the intensity of treatment a client requires. Outpatient treatment holds for three hours once a week and intensive outpatient treatment hold for three hours, thrice weekly. Both treatment programs offer individual and group therapy and similar topics are addressed. The staff of the facility consists of certified substance abuse counselors, nurses, masters-level therapists, doctors, and many more. The duration of stay is dependent on the client’s treatment progress and is different for each individual. The facility has the capacity to accommodate up to 47 clients registered in the residential program at a time in a converted office space. Different age groups are housed in different wings. Clients between the ages of 14 and 17 (adolescent) are housed in a wing that contains 20 beds. Some of the rooms come with twin sized beds and one client is required to share with another. Other amenities offered to clients include a dining hall, a common area with a TV, offices, and therapy rooms. Smoking is allowed within the premises but only in designated outdoor areas. Clients are entitled to three meals a day and portions served are generous, cafeteria style. Snacks and coffee are available in the dining room during the day. The facility offers residential treatment to clients suffering from substance abuse and co-occurring disorders. Clients are housed on-site and are required to participate in both group and individual therapy, as well as other scheduled activities. Miami Behavioral Health costs vary depending on the treatment program a client is registered into. The facility operates on a sliding scale basis making payment affordable to all who desire treatment. For a sliding scale mode of payment, the client’s household income determines the cost of treatment. For more clarity and information, clients are encouraged to contact Miami Behavioral Health. The facility understands the importance of family involvement in the overall treatment of clients and as such, offers a family program to loved ones and families of clients every Sunday afternoon. The treatment center also conducts family therapy with individual counselors if the need arises. Other recreational and social activities such as bowling, movie nights, and sporting events are available to clients as well. In totality, the facility offers substance abuse treatment to clients that come with a strong mental health component. With qualified medical staff available at all times and high quality of care offered, Miami Behavioral Health is a good option for clients seeking quality treatment at an affordable rate.